When it comes to organizing holiday decorations, I thought I had it down to a science. 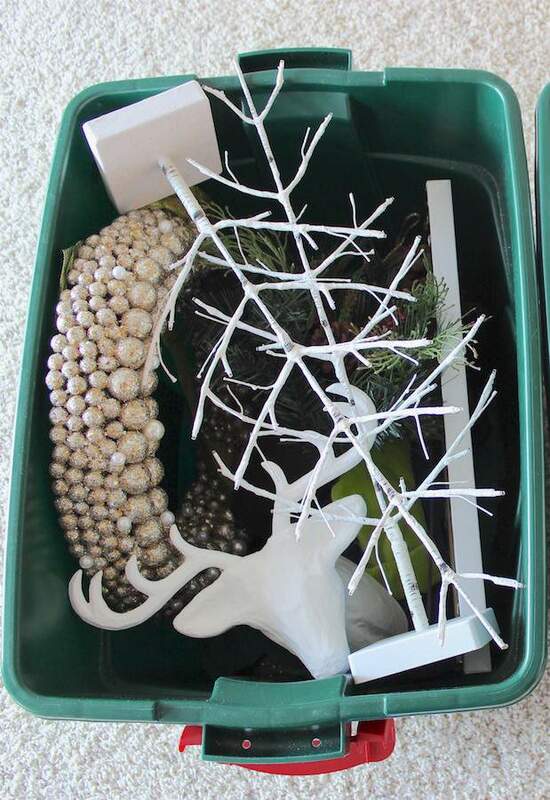 But I’ve found a way to level up my decoration storage method and can’t wait to share it with you! I’m excited to partner with Sortly on this home organizing project. Although I received compensation and a complimentary subscription to the Sortly Plus app, my favorable opinion of this product is 100% my own. 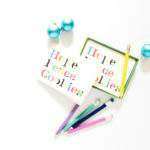 This post contains affiliate links for your convenience (which means if you make a purchase after clicking a link I will earn a small commission but it won’t cost you a penny more)! Click here to read my full disclosure policy. Hey Friends! 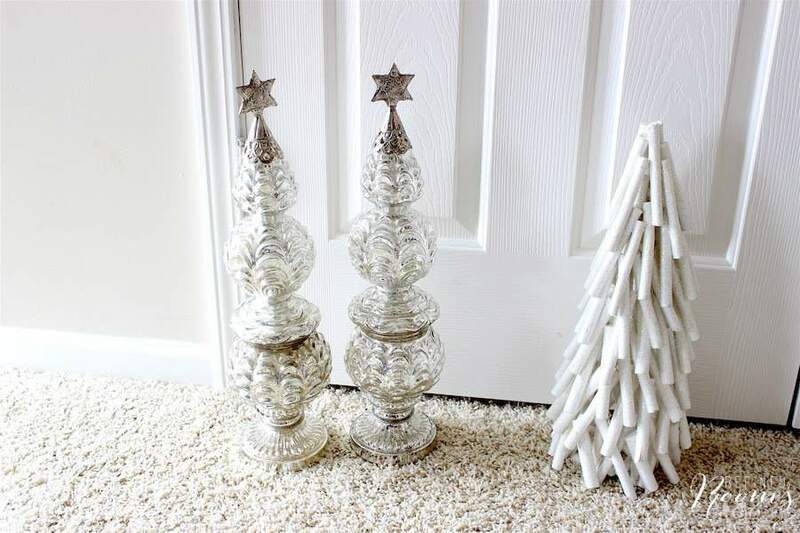 I’m betting that I’m not the only one who spent some time over the Thanksgiving holiday weekend getting reacquainted with my Christmas decorations. 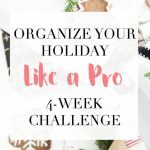 Digging into the holiday bins is typically a pretty painless process for me, since I pride myself on packing up the bins in an organized and systematic way at the end of the season. up until last year, when I decided to go on a “get rid of all red decorations” rampage (don’t believe me? You can see them all lined up in my garage sale). Since we’ve overhauled our home’s color palette, I was on a mission to replace all of my red holiday decor with new decorations in the blue/white/green family. Translation: I bought A LOT of new stuff. 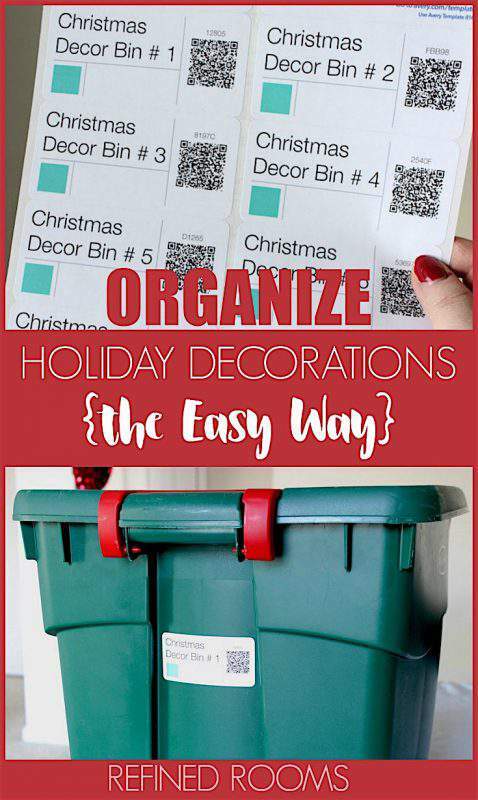 It makes it easy to create a holiday decorating plan WITHOUT having to open and dig through each and every bin. 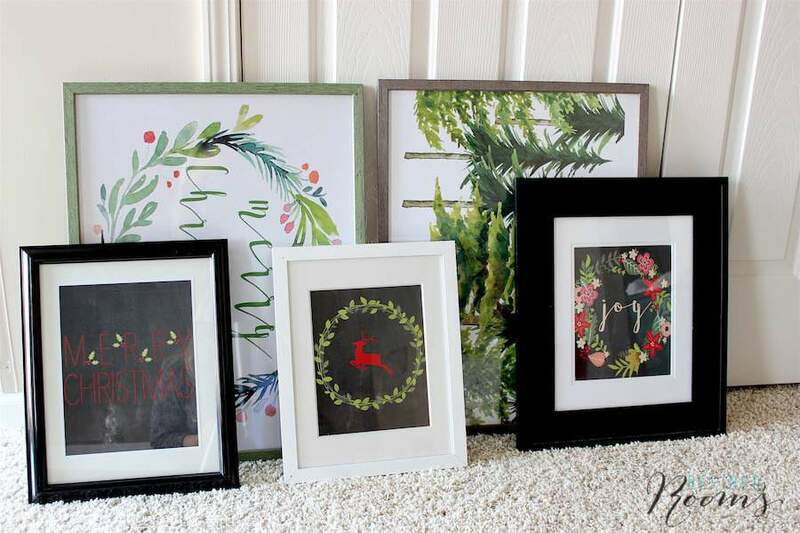 or the collection of framed art? I can’t tell you how many times I’ve had to go on a hunting expedition in my storage space for these decorations (or just plain forgot about them and they didn’t get displayed — so sad). 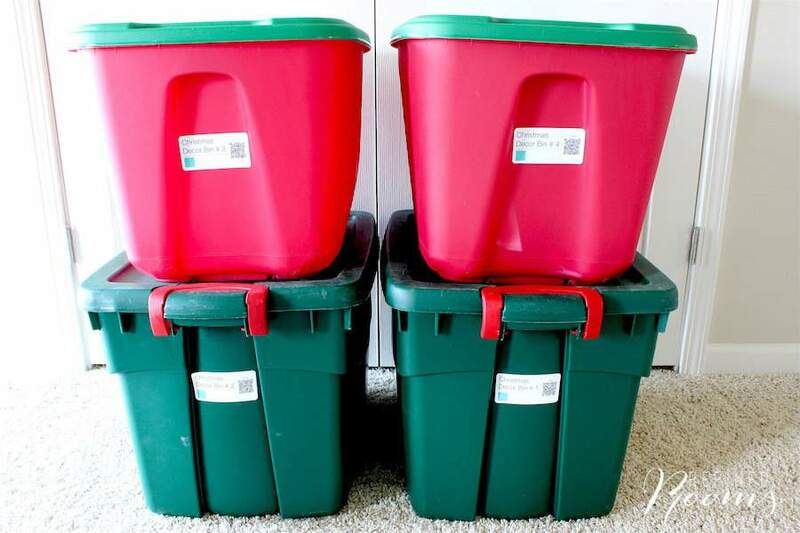 As I pondered these holiday decoration storage dilemmas, it hit me like a ton of bricks. There’s an app for this, and it’s name is Sortly! all I have to do now is click on the Bin #1 folder in Sortly! It’s a beautiful thing NOT to have to wander down to the basement storage room and schlep through bins to remember what decorations I have Because, let’s face it. We DO forget. 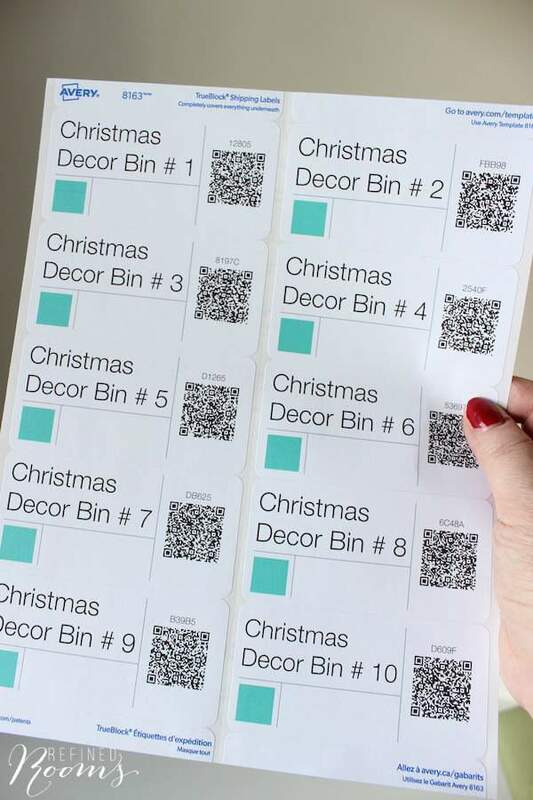 One of the very cool features of the Sortly Plus subscription is the ability to create custom labels with QR codes. 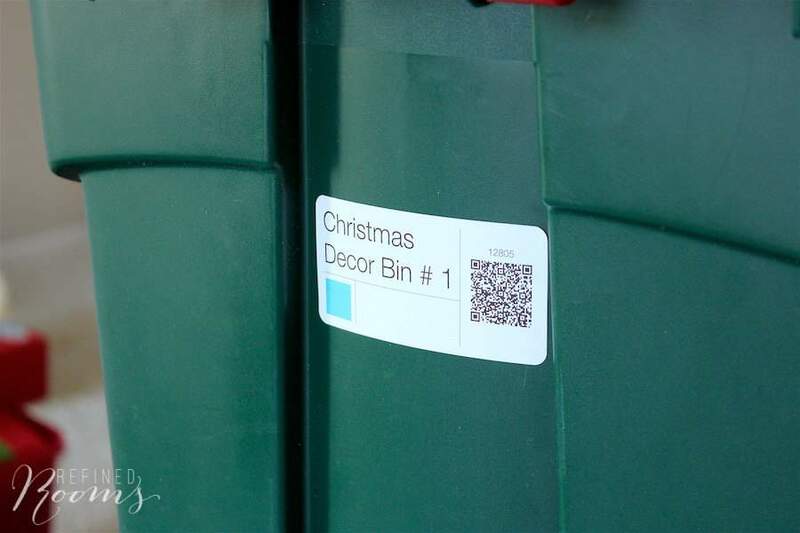 All you have to do is scan the label and you’ll know in an instant what is in each box. 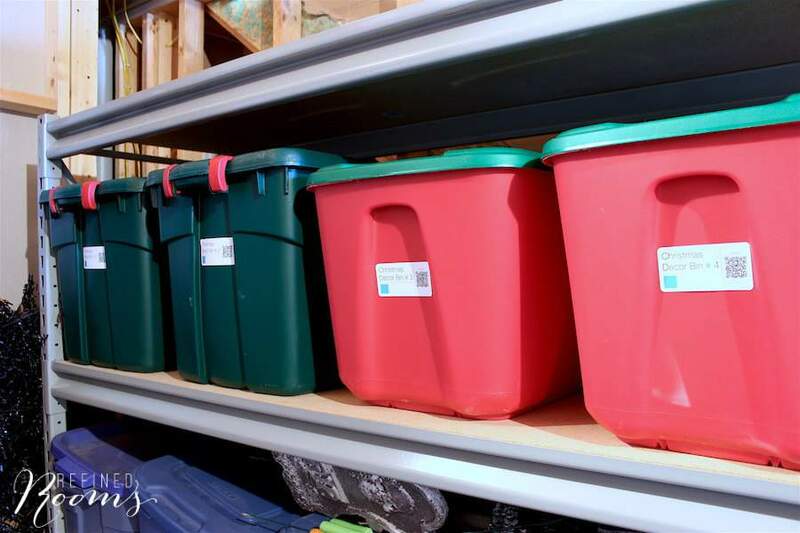 After I labeled each bin, I removed the items that I plan to decorate with this year and placed the empty bins back on the holiday shelf in our basement storage room. 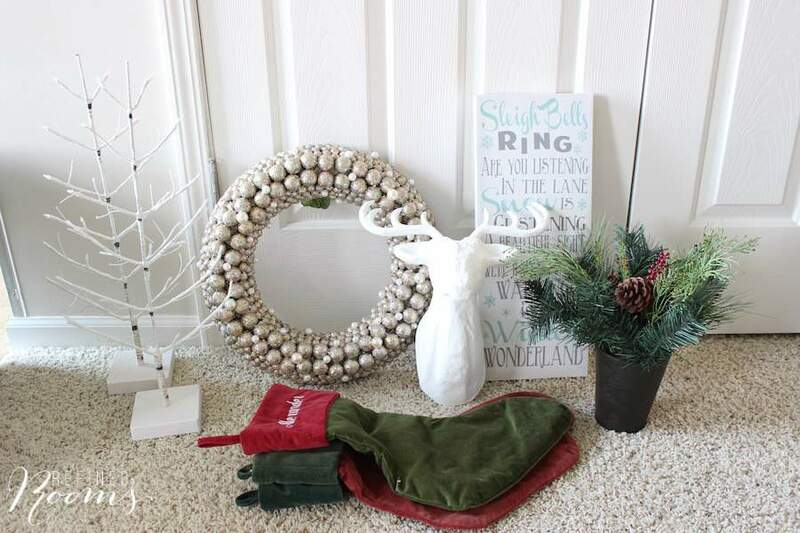 When it’s time to un-decorate, I know precisely where to put each and every decoration now. 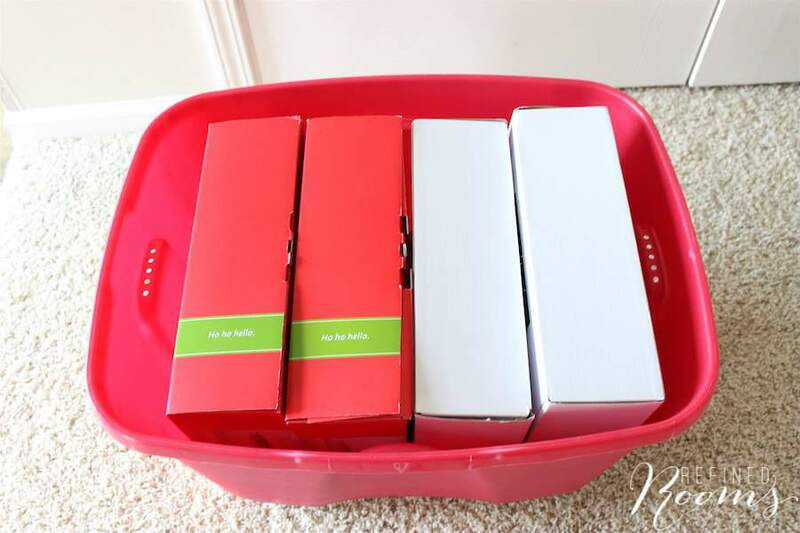 Shhhh…don’t tell my kiddos but this is where we stash the Christmas gifts until they’re placed under the tree on Christmas morning! 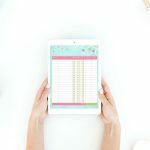 Check out my post on using Sortly to organize collections for a detailed tutorial on how to add folders, items, tags, descriptions, etc. 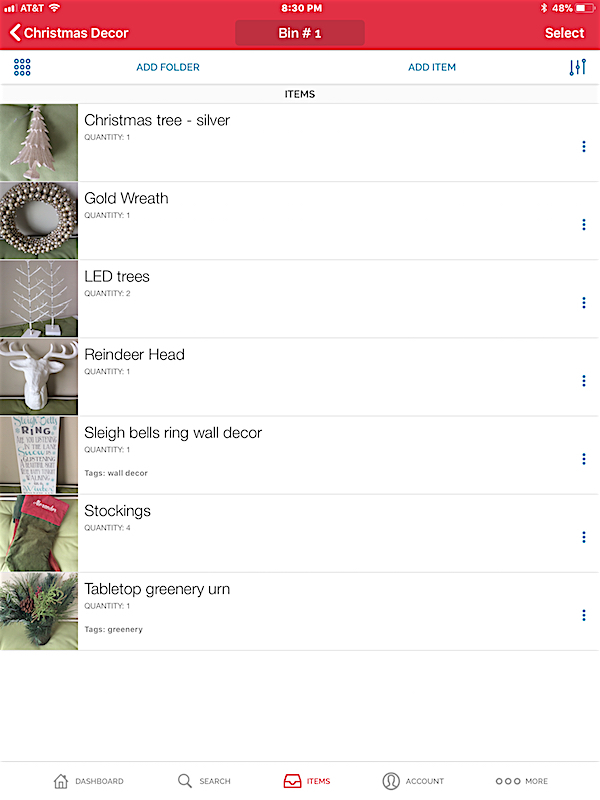 So let’s explore some of the ways this new digital inventory of holiday decorations will make holiday decorating easier moving forward. 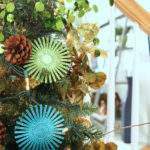 If you’re the kind of person that goes All Out when it comes to decking the halls, you might prefer to decorate in stages rather than all at once. 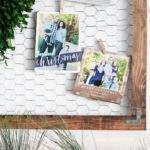 For example, maybe you want to put up the Christmas tree one weekend, tackle the exterior another weekend, and then bling out the rest of the house room by room another day. 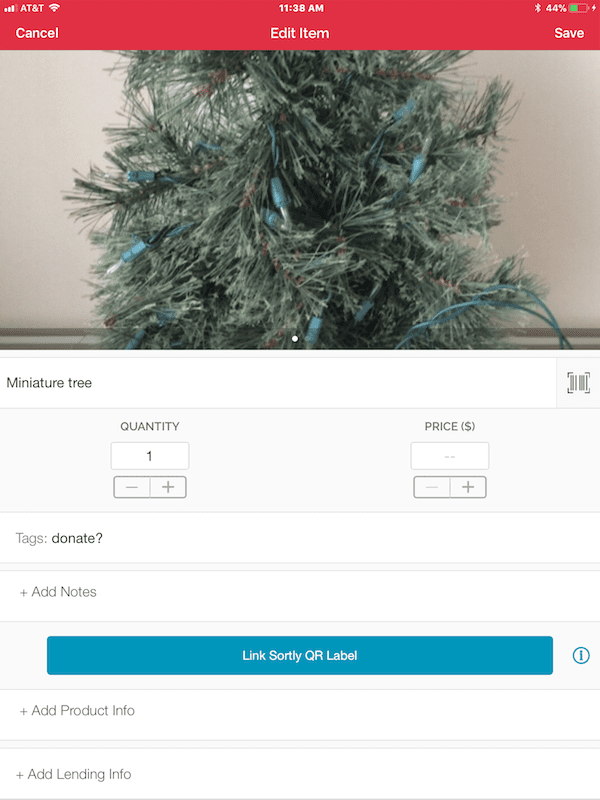 With all of your items inventoried in the Sortly app, you can use the tagging feature to identify all of the decorations associated with tree decoration. When it’s time to decorate the tree, simply search under the TREE tag, and voila, you’ve got a list of everything you need and where to find it. 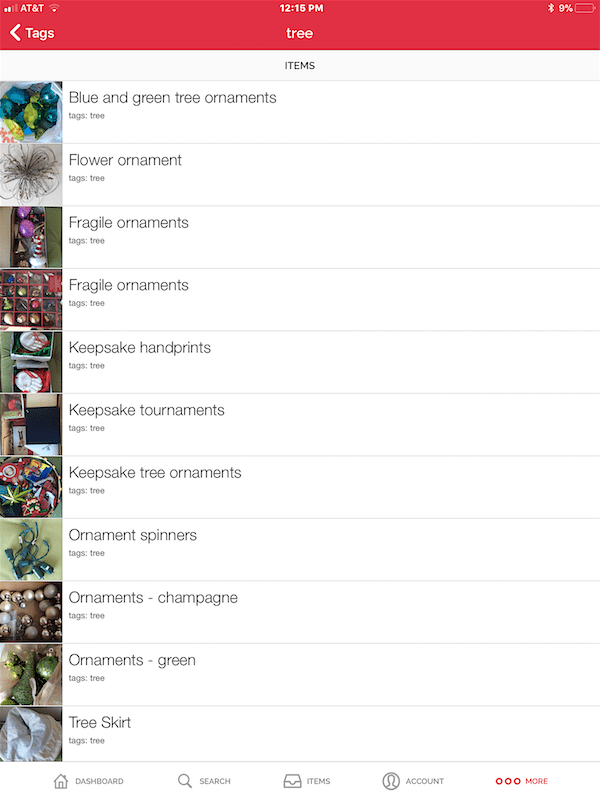 Having this visual inventory at your fingertips also makes it easy to pick and choose which set of ornaments you’d like to use this year (if you have multiple color palettes, for example). 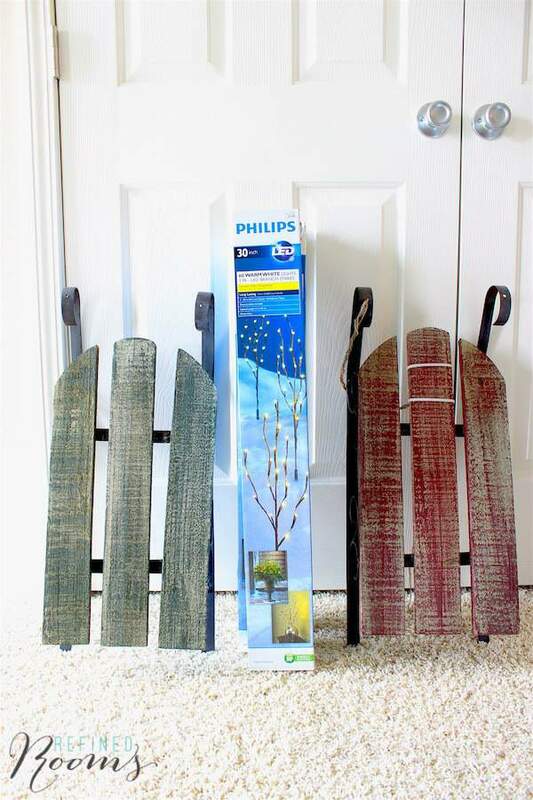 Now I’ll never have to go on a hunt for the mercury glass Christmas trees or decorative sleds again! 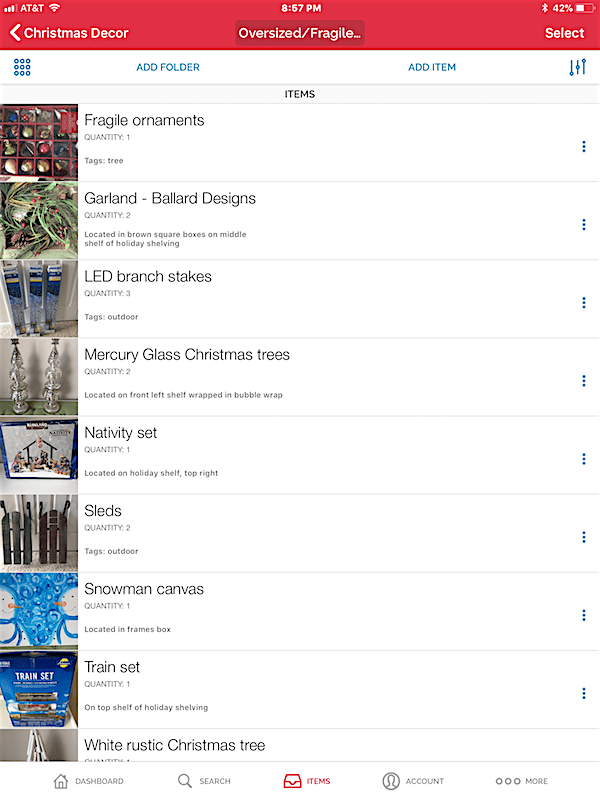 I’ve documented the storage location of each of these items using the Notes field within the Sortly app. If I happen to store it somewhere else when I put it away next January, I’ll simply update the Notes field. 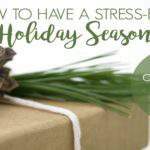 As I sift through holiday decorations each fall, I always come across broken items, as well as decorations that I choose to keep, but not display. If a certain item hasn’t been displayed for several Christmases, I usually decide to donate it or put it in the garage sale pile. While creating my digital inventory, I decided to create a tag for these “items in limbo” to identify them as possible candidates for donation as I put them back into the bins. When garage sale season rolls around, I’ll search for items with the DONATE? tag and decide if I should pull them for the garage sale. If not, they’ll probably end up in the donation pile next fall. So that’s my new organization method in a nutshell! 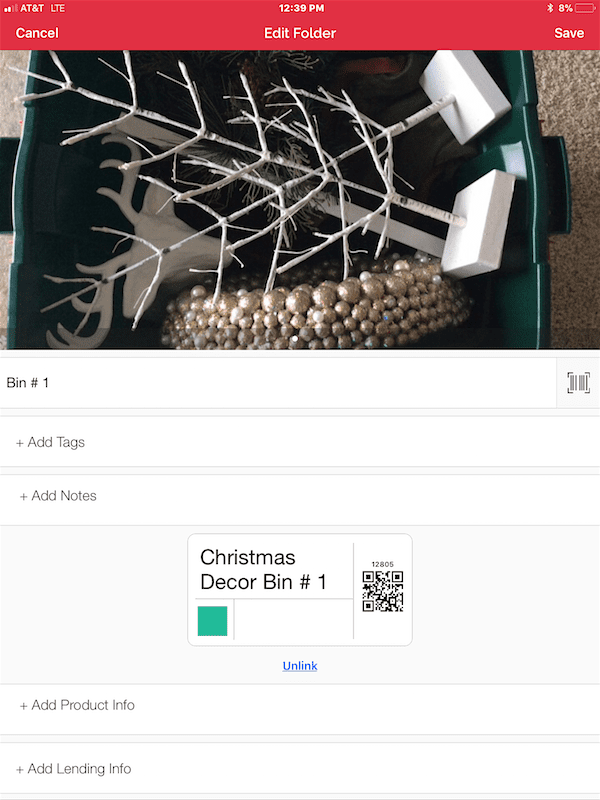 I hope I’ve convinced you that creating a digital inventory of your holiday decorations can save you oodles of time and sanity each holiday season. If so, download the Sortly app and start creating YOUR inventory today. 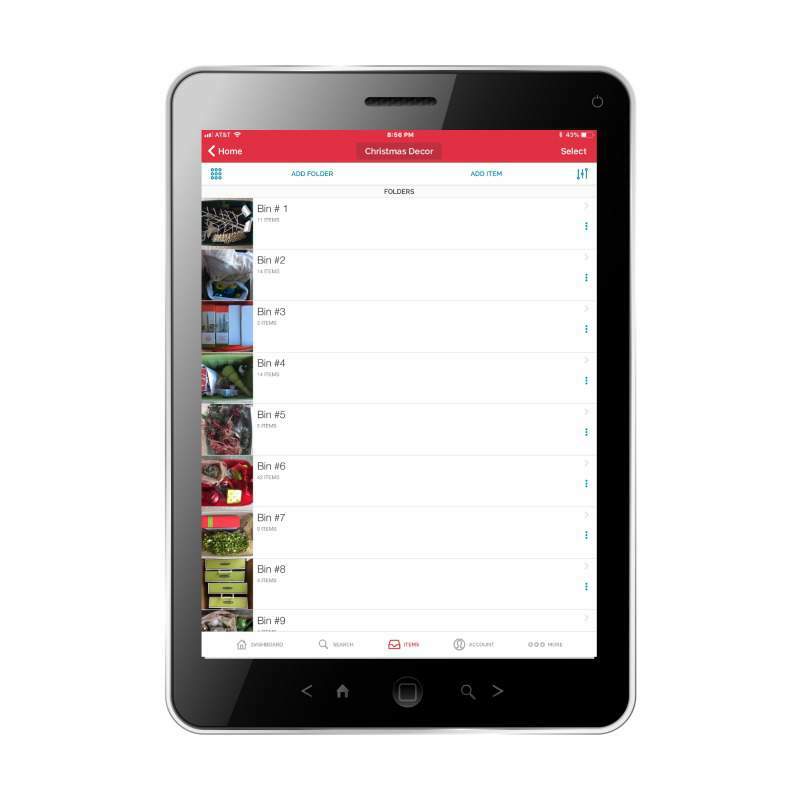 Sortly is only available on iOS in the App Store, on Android via Google Play And you can even access it on the Web! Do you have any solutions for those of us who cannot afford a smart phone? I use excel to organize my books but it is not convenient for this project. 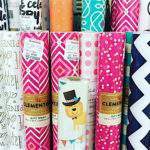 Sortly app seams to be very useful will definitely try it for my home decoration thanks for sharing. Awesome Akshay! Let me know what you think!